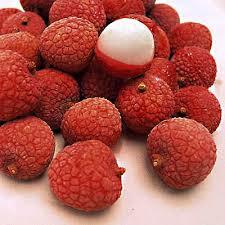 The lychee is a small fruit with a red rough skin incasing a white wet flesh that looks like an eyeball and tastes slightly better. But for the last week I have been donning the yellow rubber gloves, climbing my ladder and picking these little fruit. It's been fun, tiring, slow, boring, interesting and a host of other interchangeable adjectives. 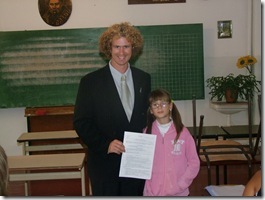 I've been working with Bec Adams, a girl I knew from years ago in Sydney and Maclean. We have had some great encouraging conversations. 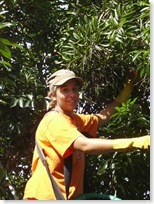 Picking is finished now, I won't be disappointed to finish picking lychees but I'm glad I had the experience.